If seems that there are a lot of people who do not seem to realize how couponing can help them save money. All over the world, people are saying that they are spending too much on the needs while their income is not getting higher. The economy of the world in general is unpredictable and there are also some who are experiencing financial problems because of the lack of employment opportunities. If you are not too sure how you can get coupons, you can always search for newspapers that have them. There is always a section that you can cut and use the next time that you do your grocery shopping. If you are not contented with what you can get from the newspapers, you also have the option to check out some sites. Do remember though that there is a limit to the number of coupons that you can get. This does not seem to be a hindrance to people who get by with the use of coupons though. There are stories of some people who have already been helped by all of their friends and family members to get as much coupons as they want. While it can be a huge problem for the cashier at the supermarket, it can save people a lot of money. There are even instances when people were able to get a thousand dollars’ worth of supplies for under a hundred dollars. The power of couponing has made it easy for some people to abuse them although it has also managed to save the lives of some people who would have to live with their current income which is not enough for them to feed their families. Some are able to stock up on things that will last them for years. Couponing also takes a lot of hard work and it is not as easy as what people would probably portray on television. 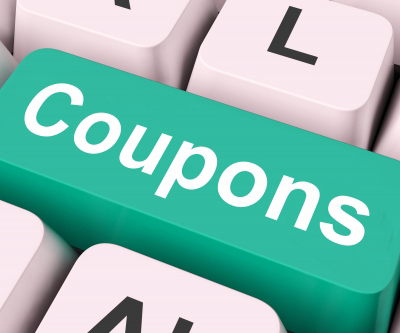 Coupons can be good but we should also make sure not to abuse them because too much of everything is always not good. This entry was posted in Shopping tips and tagged coupon, coupon saves, importance of coupon on March 9, 2014 by Yami.